The magic is in the products you use. Let's admit it, we don't really have time to have our hair done at the salon every day. But have you ever wondered how you can achieve super sleek straight hair or edgy side-swept twists at home? And with products you buy right off the shelves, no less. TRESemmé's Runway Ready show showed us just that by showcasing wearable yet editorial level hairstyles that may look daunting to do all by yourself, but are actually really easy to achieve. 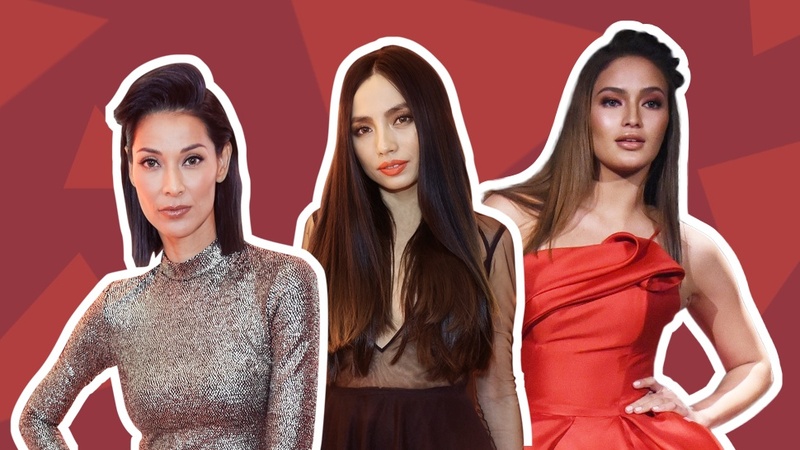 We talked to TRESemmé's hair gurus Victor Ortega, Henri Calayag, and Lourd Ramos for an update on this season's hottest hair trends and how versatile and easy they are to do at home. But first, they shared the secret to getting hair that looks straight out of the salon. "You really need the right products," Henri shares. He suggests by having a good wash and care system first like TRESemmé's Keratin Smooth Shampoo and Conditioner. Not only do these products help make hair manageable by taming frizz, they also help nourish each strand for easy styling. He continues, "Girls get inspiration from social media… which makes women these days feel more aggressive to try edgier and newer things," Lourd adds. Here are three cool and doable hairstyles that are perfect for either the office, a night out, or a weekend vacay! "What you really need is TRESemmé's Flat Iron Smoothing Spray to control the frizz," says Victor Ortega about the one product you really need to complete this look. Start off by picking your hair partition, whether that’s in the middle, side, or simply slicked back. Then prep your hair with a Keratin Smooth Heat Activated Treatment before styling for healthy and strong bouncy hair. Thinly section tresses when ironing so that you're sure to have extremely straight and flat hair afterwards. Then finish with the smoothing spray. "You can wear this anywhere at all!" Victor adds about this sultry update to a normal office day-to-day 'do. Although called the "Bold Twists" trend, Lourd Ramos says it's actually pretty easy to do. "You just need hair pins and a good hair spray. Luckily, TRESemmé has this new Freeze Hold Hair Spray. It stays in place once you spray it on, but once you detangle your hair, your tresses are smooth and not stiff or sticky at all!" You can either do a small twist and tuck by the corner of your ear or pull a bolder one by tucking your hair at the base of your neck. The overall look is more romantic and feminine and perfect for date night. "It's all about that added volume. Women used to do the pompadour all the time, and I don't see why it shouldn't come back as a trend," says Henri Calayag. The boldest trend among the three is definitely a scene stealer and is perfect for a red carpet or a memorable night out. "The TRESemmé Keratin Smooth Treatment Mask is really the best. I use it before and after I style. It really takes care of the damage—whether your hair has been chemically treated or colored, it's perfect," he adds. He advises to use the mask before drying and blowdrying hair. To create the pompadour, all you need to do is tease your hair at the top, then smooth the top most layer out with a fine comb. Finish off with the Flat Iron Smoothing Spray and Extra Hold hair spray for salon gorgeous smooth and shiny tresses. For only 120php, you can get a good hair care system like TRESemmé at home. Click here to browse more of their products.